This is a sponsored post on behalf of The Home Depot. I received compensation and/or complimentary materials in exchange for my work, but the opinions in this post are 100% my own. 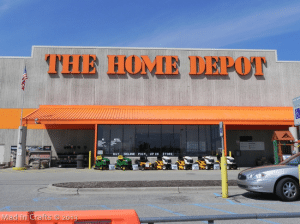 I am very excited to be working with The Home Depot this Spring to improve the state of The Mad House yard! 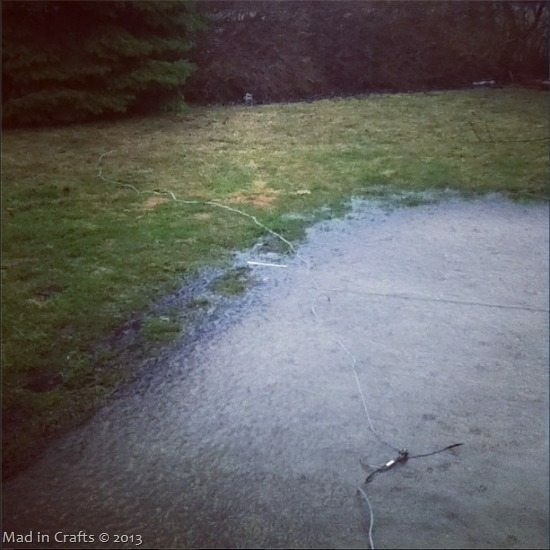 We have a good sized front and back yard, but some typical Michigan weather extremes have taken a toll on the grass. 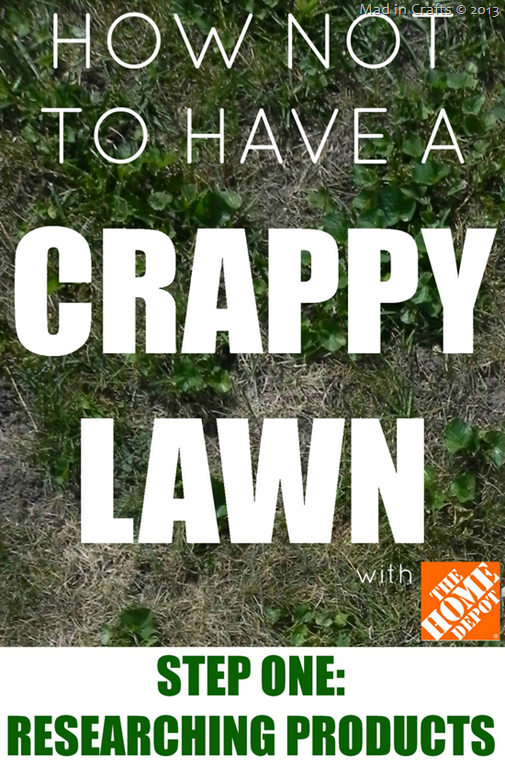 Weeds, crabgrass, and bare spots are just some of our issues. 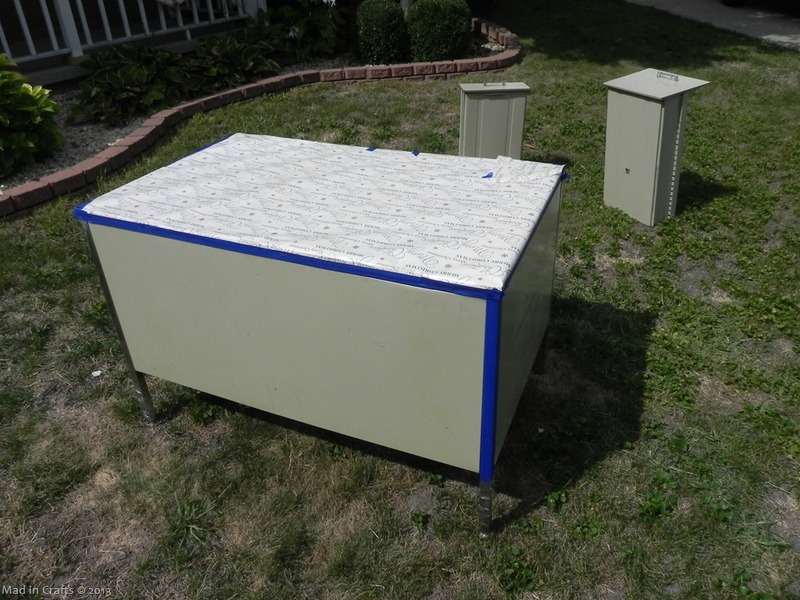 This is what our yard looked like last summer when I completed my Craft Desk project. Michigan had a drought last year, combined with scorching temps, which meant the only thing that grew in our front yard was crabgrass. Lots of crabgrass. This spring we have the opposite problem. Heavy rains and lower temperatures have caused flooding in my hometown and the surrounding cities. In addition to the unpredictable weather, we have a dog who has left burned out patches of yellow grass all over our backyard. 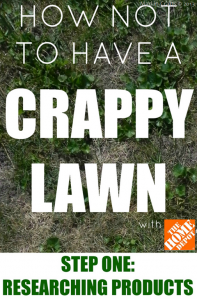 Over the next weeks, I am going to share the steps that I took to improve the health of our lawn to make sure that this year we do NOT have a crappy lawn. Before I could start fertilizing or controlling the weeds, I needed to do a little research. 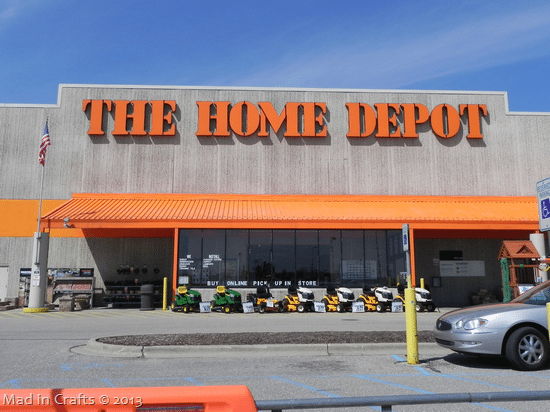 I consulted The Home Depot’s Lawn Fertilizer Buying Guide to get a better sense of what we needed to get. After browsing around a bit, I think that Scotts Turf Builder Crabgrass Preventer would be best for our yard. I am going to take a look at the sprinklers that Home Depot has in stock in our local store to determine whether an oscillating or full-circle sprinkler would be better for us. Now that my list is made, I am going to heading to the store to pick out the tools to green up our crappy lawn!